If you are worried about your dental health or gum disease, then book a free consultation at our NW3 (Finchley Road) dental clinic. Our friendly and highly skilled dentists and cosmetic consultant are here to help you understand your ongoing dental health options. If you are worried about gum disease, then book a free consultation at our NW3 (Finchley Road, Swiss Cottage, Hampstead, NW6) dental clinic. Our freindly and highly skilled dentists and cosmetic consultant are here to help you understand your ongoing dental health options. 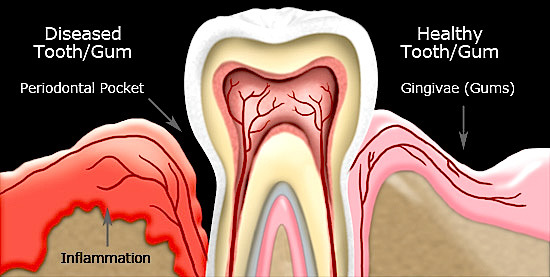 Tooth decay is when acids in your mouth dissolve the outer layers of your teeth. You may also have heard it called dental decay or dental caries. Over time, symptoms of tooth decay can include: toothache, pain when eating or drinking, visible discoloured spots on your teeth. If you are worried about tooth decay, then book a free consultation at our NW3 (Finchley Road, Swiss Cottage, Hampstead, NW6) dental clinic. Our freindly and highly skilled dentists and cosmetic consultant are here to help you understand your ongoing dental health options. New research has discovered a possible link between tooth loss and blindness in older men. If you are worried about gum disease and want to avoid the risk of blindness, then book a free consultation at our NW3 (Finchley Road, Swiss Cottage, Hampstead, NW6) dental clinic. Our freindly and highly skilled dentists and cosmetic consultant are here to help you understand your ongoing dental health options.